Job #312, Riverly, built for A. Rhodes Perdue in 1935. 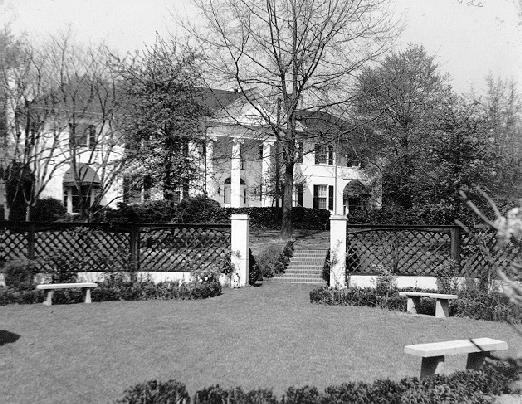 This was the second home Ivey & Crook designed and built for their college friend: they were also responsible for 27 West Andrews, as well as many Rhode's Furniture stores. 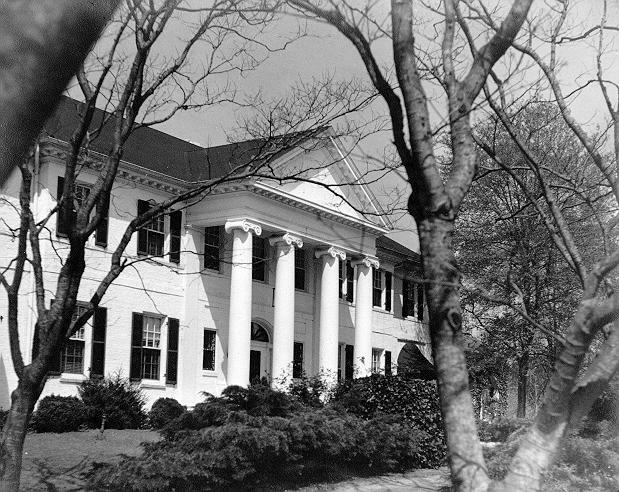 The white-columned mansion sits on an estate that borders the Chatahoochee River, at the very end of West Paces Ferry Road, what was then Dorsey Road, named for resident former Georgia Governor Hugh Dorsey. 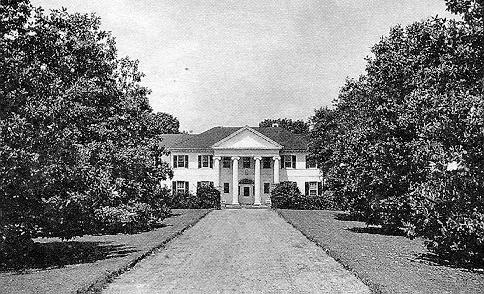 The rows of large magnolia trees that flank the drive leading up to the home were planted by Mrs. Perdue, and they prevent any view of the house from the road. It is believed that the original wing of Riverly was designed by Neel Reid. The house is now owned by Dan and Charlotte Garson, who purchased it in 1955, three years after Mr. Perdue's death. Mr. Garson is Chairman and CEO of the company his father founded, The Lovable Company, one of the world's largest and oldest independent bra manufacturers, and proud sponsor of NASCAR driver, Tammy Jo Kirk. I like their slogan: Burn rubber -- not bras. Much thanks to Jan Chase, A. Rhodes Perdue's daughter, for graciously allowing me to publish these photographs. Her brother, Rhodes, and his wife were also helpful, as was their son, David.